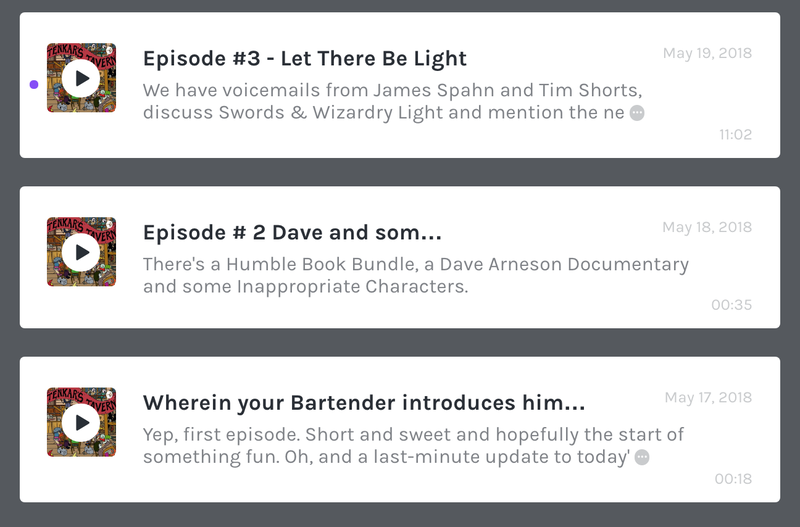 Yep, Episode #3 of The Tavern Chat Podcast is live. You can listen using the player on the upper right side of this very page. It is now also on iTunes as well as Pocket Casts. If you download the Anchor app to your phone you can leave me a voicemail. Feedback is always welcome as well as discussion topics. Much like The Tavern itself, The Tavern Chat Podcast can only get better with community participation. Gygax Memorial Fund Update - Who's Dave?